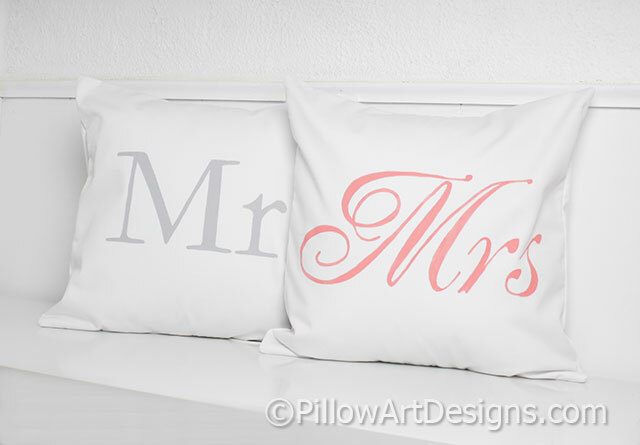 Mr and Mrs pillow covers made to fit 16 X 16 inch pillow inserts (not included). 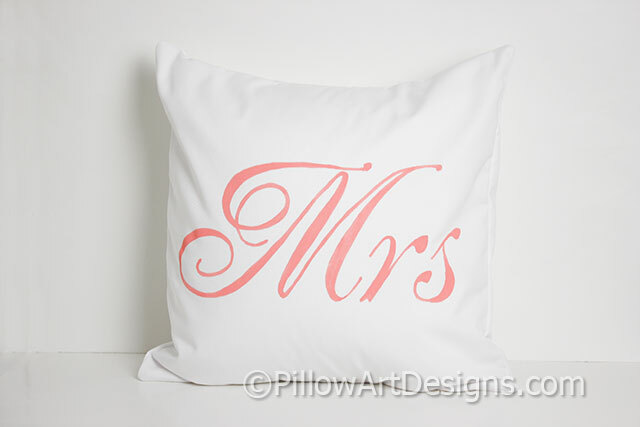 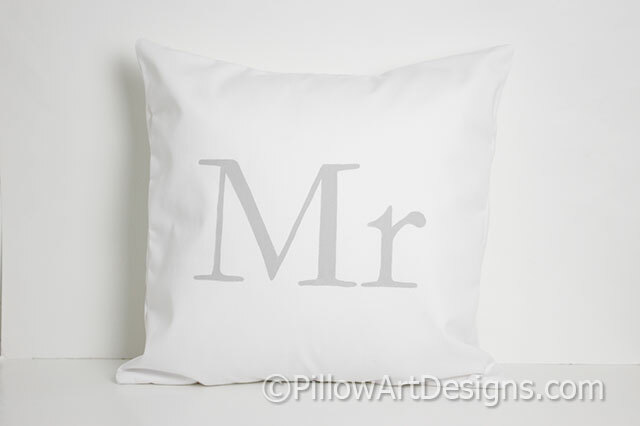 Mr pillow cover painted in stone grey block font, Mrs pillow cover painted in coral script font. 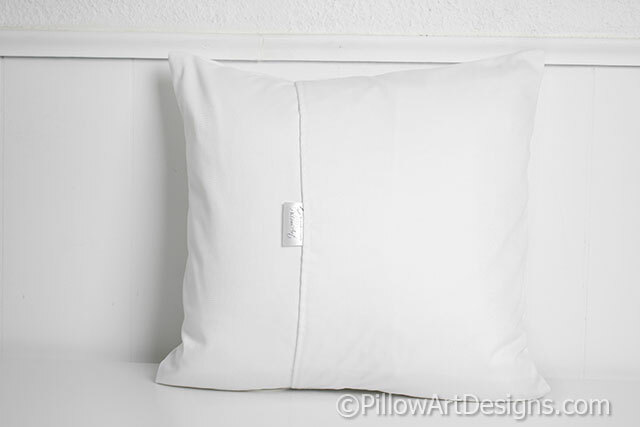 Hand painted in non toxic fabric paint, will not wash off, flake or rub off.